The HappyFeet Soccer League is on weekends. It is offered for all children ages 2.5-6. The kids are grouped with their friends in teams of similar ages from the same school. This is the perfect way to make team play great fun and introduce kids to organized team sports. 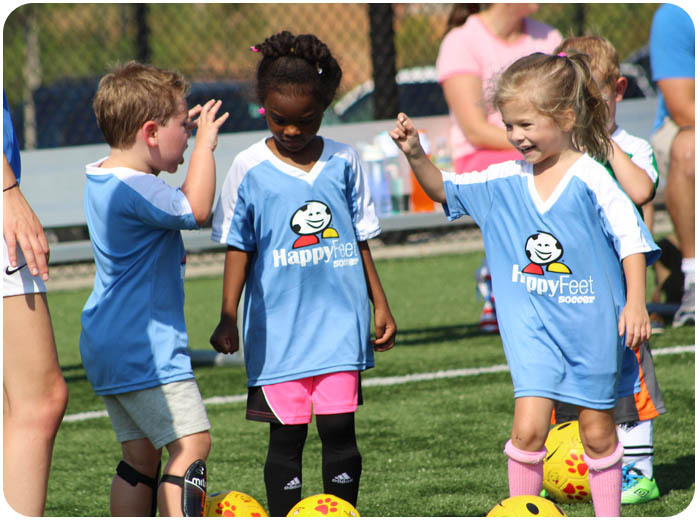 They have a blast because they’re familiar with their HappyFeet soccer coach, the HappyFeet approach and their friends from school!